Orwind Turbo-S GPS Tracker Amazing Features: Micro SD card slot for additional data logging (maximum 2GB)! Built-in shock sensor. GSM/SMS communication or GPRS TCP/UDP connection. High sensitivity, New technology and latest GPS SiRF-Star III chipset! Support single location and continuous tracking. Support location triggered by tracker. Support location triggered by authorized cell phone. Support alarm and remote monitor. Support quick dialing buttons for 2 preset phone numbers. Support check location by SMS and Internet. Monitors can track the person without interfering him. LIVE! Real-Time tracking! 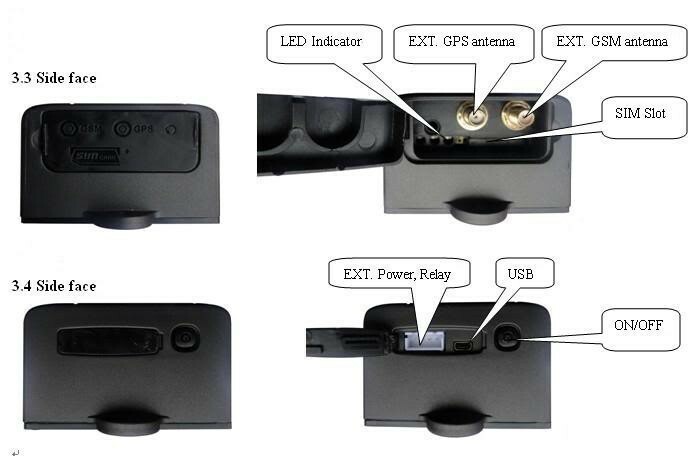 Locate the locator holder by the mobile phone via SMS. SOS button send out exact location for immediate rescue/action. Geo-fencing to restrict movement to a defined radius. No monthly service charges to be paid to the call center Powerful magnet + waterproof design, can be adsorbed in the hidden place of car. Compact size, and smaller than a name card, easy to carry, hold and hide. Very Low power consumption. Maximum FIVE cell phone numbers are allowed to admin the tracker. Built-in battery with large capacity 6000mA, 60 days long standby time. Powerful magnets to absorb to the vehicle firmly. Real-time tracking, retrieve lost vehicles, cargoes. 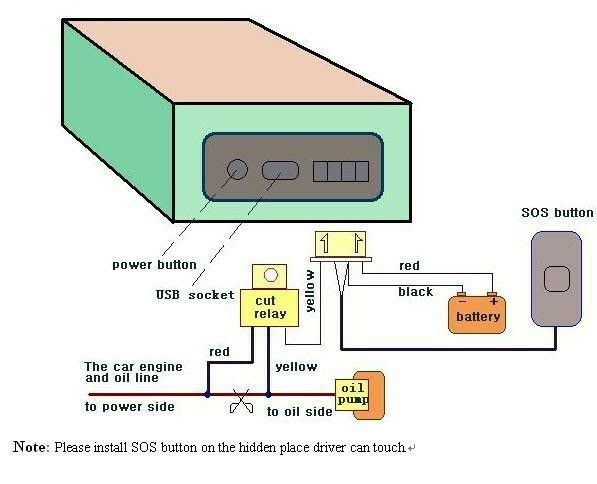 SMS/GPRS/internet network data transfer (GPRS/Internet instructions in CD enclosed). Other functions: SOS, Geo-fence, movement alarm, over speed alarm, accident alarm, voice monitoring etc. The on-line web page tracking software has one month free trial, after that it is about 10USD per year. Notice: please be very careful when install the SIM card. Make sure the SIM card goes to the right slot. 1.offer GPS tracker device that desgined friendly and easy to use. 3.to be a professional GPS tracking solution supplier. We are not only product seller, but also service provider! Web-based GPS tracking system can be tried out 7 days freely. code can be input in the column of “manual track” menu of web platform. smooth trajectory consistent with the actual road, this function is only effective in GPRS mode. Note: You must set up the APN of your local GSM network for the SIM card in tracker first before using this function. map of web server with LBS mark. And there may be some inaccuracy with actual location by LBS tracking; the bias depends on GSM reception. 7. Check the Vehicle State. The default mode is “track” (Track mode). Send SMS “monitor+password” to the unit, and it will reply “monitor ok!” and switch to “monitor” mode. Logging Volume: Built-in flash 1MB (store about 16,000 positions); expanded volume depends on the SD card inserted. remain immobile state until next command to resume. 20KM/H”, and stop the car when the speed is less than 20KM/H. will enter sleep by detecting shock sensor. And tracker will sleep by time as default. Send "sleep+password+space+shock", tracker will reply "sleep shock ok", it will enter sleep mode after detect no shock, and LED will be off. 22.Accident alarm (Optional)---If you need this function, you add extra $6 for it will be ok! When tracker detects accident occurred (severe impact), it will send " Accident! + latitude & longitude " to all authorized phone numbers. Note: Correct password is need every time you configure the tracker. when alarm being triggered or start driving. If monitor center number doesn’t setup, auto track messages will be sent to the cell phone which send this command. user manual" included in the CD for detailed operation information.